Hello friends. 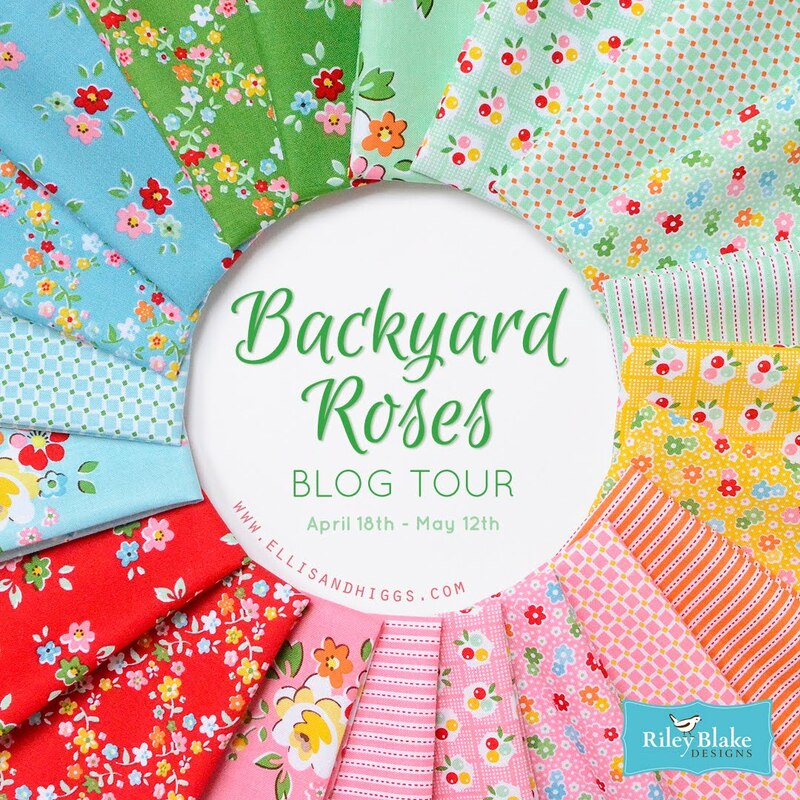 I am truly pleased to help kick off week two of the Strawberry Biscuit Blog Hop for Elea Lutz' new line for Penny Rose Fabrics! 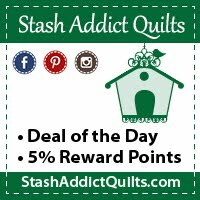 "Strawberry Biscuit" is a tender line of fabric, with sweet little vintage characters and lovely fruits and florals, all done up in soft nurturing colors. This fabric really tugs at my sentimental side, taking me back to when my daughter was little and would host a tea party for her dolls and stuffed animals. 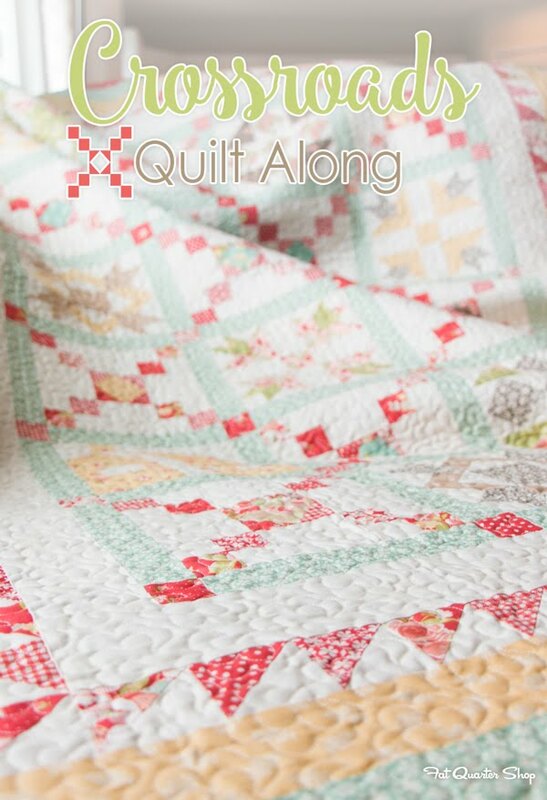 Earlier in March, I shared a tutorial for a Coffee Time Quilt I made with "Strawberry Biscuit." this little quilt all the more special. Well, I enjoyed that so much, I decided I would make some additional items young ones might need for play time. First up is a small shoulder bag that might store picnic items, a book, or little girl necessities. Isn't Elea's pink floral just amazing? In case you are interested in making a similar bag, I have a free tutorial for making this shoulder bag on my blog. It is a simple bag to construct and is a great project to do with a young sewist! To pump up the sweetness factor, I added the last few inches of some vintage crocheted trim I found at an antique store, and topped that off with a fabric yo-yo and vintage button. 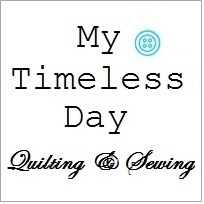 Quilter confession: that was my first yo-yo, which a friend taught me to make when I was on quilt retreat. Seriously, I could get hooked on yo-yo making ~ quick, easy, fun!! Thank you Diane! Well, every little girl needs a coin purse to store her tiniest treasures! The kind folks at Stash Addict Quilts recently sent me the pattern (which includes the metal clasp) for this dainty "Spare Change Purse" by Zakka Workshop. This purse was easy to put together (terrific full color photographed instructions), and dainty is the perfect word! The finished size is 3 1/4" by 2 3/4"! Doesn't it look cute with my Easter gloves from when I was a young girl? My mom saved them and gave them to me recently. Finally, I remember that my daughter loved to read quietly to her bears and dolls after a tea party, so a sweet resting and reading pillow was in order. I wanted my pillow to showcase Elea's characters at play, so I kept the design simple with a band of focal fabric framed by coordinating prints and clean, straight-line quilting. The pillow is a nice size at 20" x 14". Of course, I had to add a layer of yo-yo's and another vintage button just for fun. I also added a smidge of another Riley Blake Designs fabric, "Lovebug Lovewhite" from Doodlebug Designs. I think it works so nicely with Elea's sweet prints! 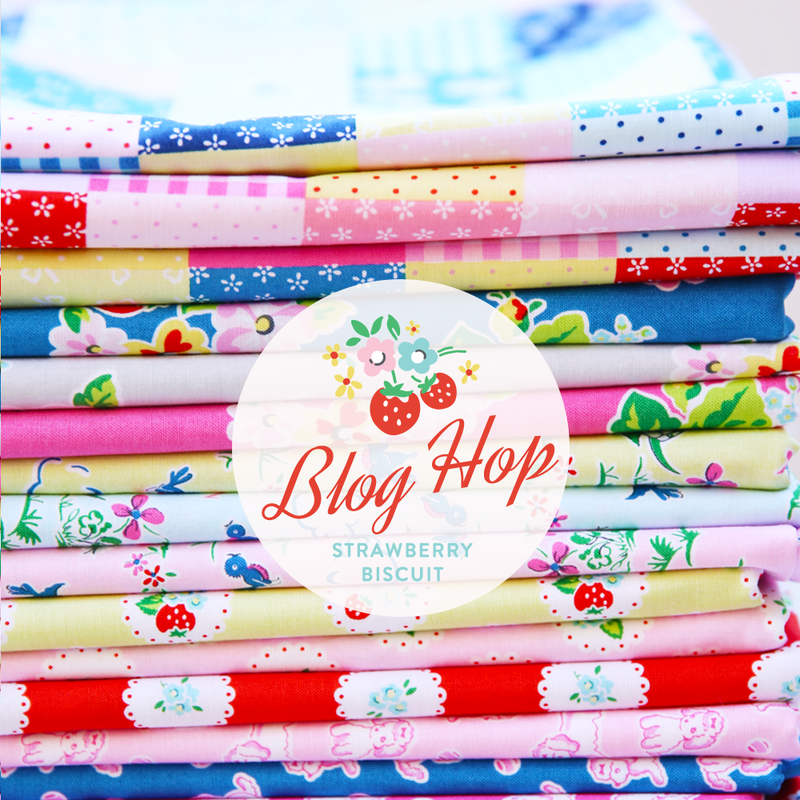 "Strawberry Biscuit" is available in stores now, and is being carried by three of my blog sponsors: Fat Quarter Shop, Fort Worth Fabric Studio, and Stash Addict Quilts. Your heart will likely melt when you see it in person! 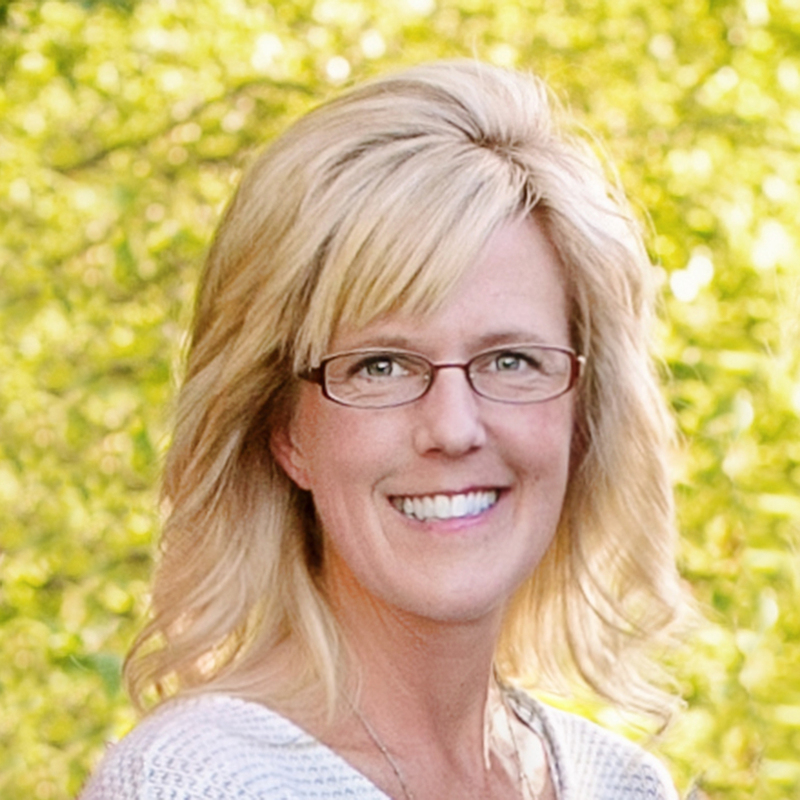 Thank you all for stopping by the blog today. 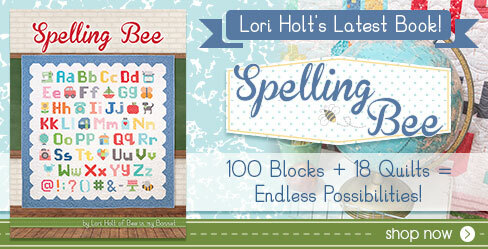 And special thank you to Elea Lutz and Penny Rose Fabrics for including me in this blog hop! I enjoyed every bit of it! You are so right Anna! The coin purses are so cute . . . and just the right fabric makes them even sweeter! Have a great day! All of these are so pretty that big girls like me would enjoy them too for life's necessities! I am definitely going to try your bag tutorial and I am thinking for summer, red white and blue maybe. The change purse is adorable and you chose the best print to use with it! So much fun. And as always your pictures are so clear and pretty too! Thanks so much Karen! I enjoyed every moment sewing with this fabric. It is so sweet and makes me pretty nostalgic for past years when my daughter was young. I hope you enjoy the tutorial for the shoulder bag. It's quite easy and fun. You can embellish it as much or as little as you want. I've lined it with thin interfacing, quilt batting, and even one with Soft & Stable because I wanted it a bit sturdier! Hope you enjoy! And yes a red, white and blue bag would be great!! Thank YOU Elea. I am not exaggerating when I say that every time I play with your fabric I get a bittersweet happiness thinking of my daughter's younger years, and I miss those days. The fabric is precious and perfect. You will bring a lot of joy to sewists lucky enough to enjoy some Strawberry Biscuit! 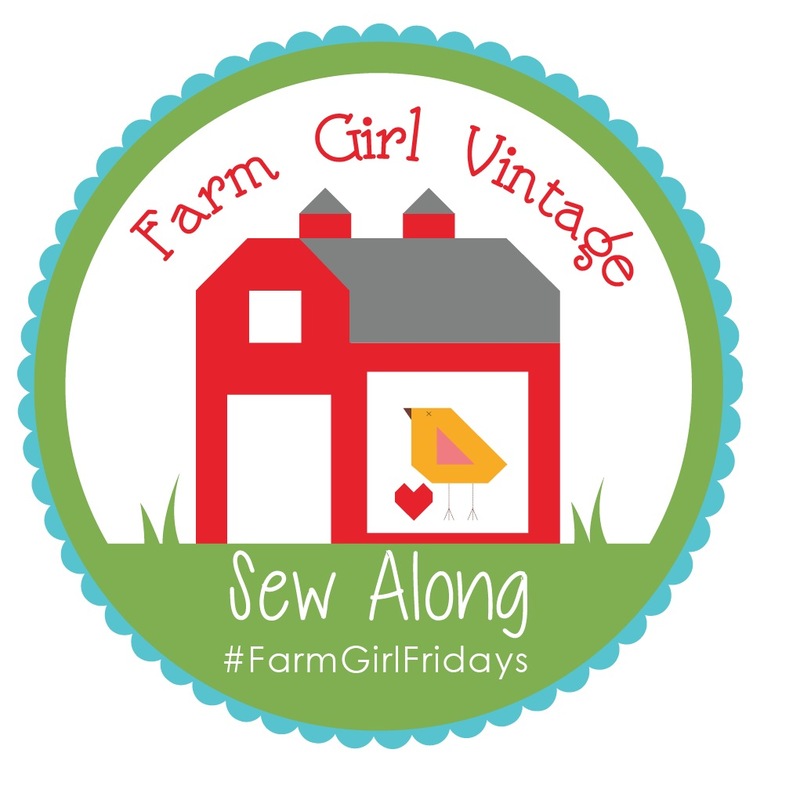 I've been waiting anxiously to see what pretty things you made with this lovely fabric. WOW! Such sweet pieces with the nicest little details (lace, buttons, and the yo yos!) Your stories were icing on the cake. You are such a talented sewist and so very creative, Taunja! Cannot wait to get my hands on this line of fabric. Thank you for shairng. Thank you so much for your kind words Pam! 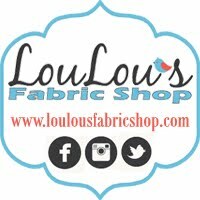 I just know you will love this fabric when you get it! I recently found a fat quarter of Elea's previous line Milk Sugar & Flower, which I did not have any of, and it is so cute sometimes I just look at it for fun! ;) Have a great week Pam! So pretty!! 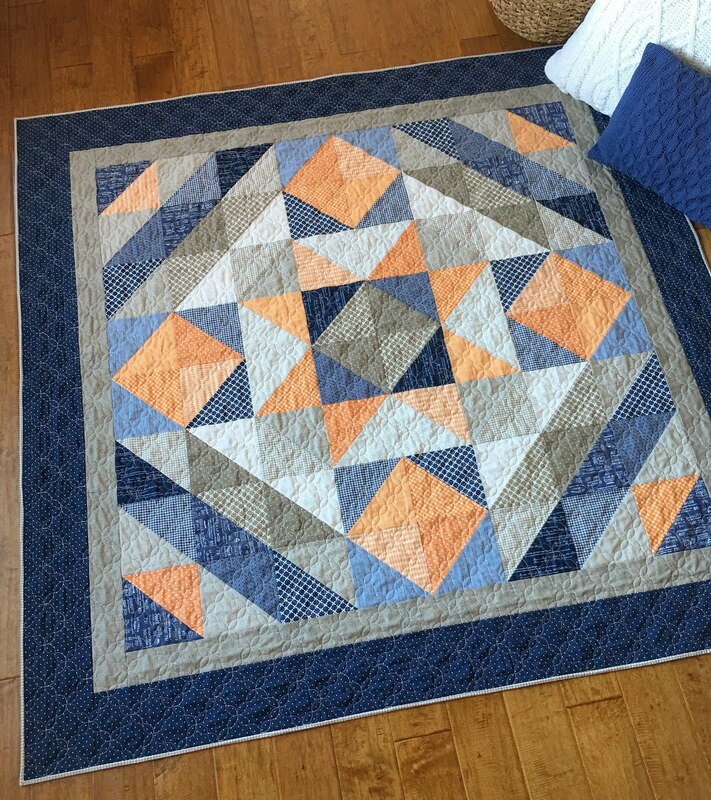 Love love love the quilt and pillow too! It's great to see the colors everyone is pulling from Strawberry Biscuit line! The bag is so sweet and adorable! Thank you! You are so right. I was so drawn to the pinks and greens right from the get go, but then I felt bummed out when I saw all of the beautiful projects with the blue and also that taupe/grey floral. Oh my goodness! I guess I just need to get some more to remedy that! Now, I must say . . . Your diaper bag (or bag for many occasions/purposes) was amazing. You are truly talented and ingenious! pockets, dividers, elastic, zips. WOW!! Thank you Sarah! Have a great day! What can I say? It's all so beautiful. The Spare Change Purse is too cute for words and would be the perfect gift for any little girl. Thank you Christa! That little purse is a gem and super fun to make! Tuki . . . your enthusiasm is awesome and just what I needed bright and early this mid-week morning! Thanks so much for all your kind words! I had no idea Yo-Yo's were so simple. My friend had a little Clover gadget and it literally took just a few minutes to make. Crazy fun! Who knew? Have a great week!! Well thank you! And I certainly loved your blog projects with Strawberry Biscuit and your special kit with this fabric! Just Darling! Thanks FWFS!! 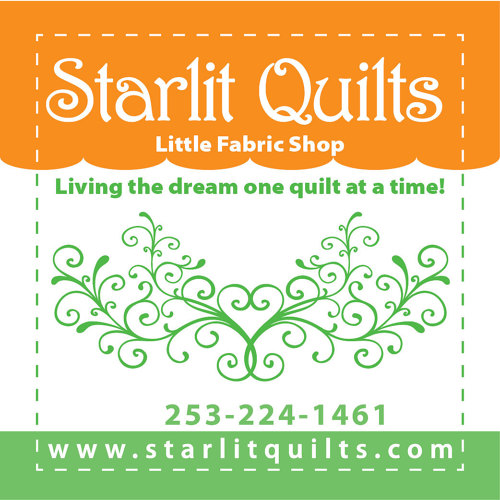 Spools mini quilt. . . meet Little Ruby!